Have you ever participated in a poverty simulation? If not, I highly recommend it. My wife and I are fortunate to have a friend and fellow Rotarian, Betsy Rozelle with CAP Services, who provides these simulations here in Northeast Wisconsin and so we went at our first opportunity. We spent just over three hours on the Lawrence University campus one night this past November with roughly 70 other people. Some of these were professors or administrators with the university but most were students who wanted to learn more about poverty. Kudos to those students who participated. This experience will change their lives forever. Out of the 70 participants, most were individuals like us who came to learn. A select few acted as community resources. They were trained in advance of the simulation. As participants arrived, we were given roles to play during the simulation. Each person “became” an adult in a “family”. Each family “came with” a packet which contained a profile, a set of assets and a budget. No two profiles were the same. Around the edges of the large room where the simulation was held were community resources, such as a bank, a school, a couple of agencies, a workplace, and many others. Each of these resources were staffed by one or more people. Each fifteen minute interval represented a week in the lives of our impoverished mass. Our simulation followed us through four “weeks”. Those of us who were “given” spouses and who took the time to plan the next day’s or week’s activities were able to eke out survival. Not sustainability, simply survival. We became aware that any glitches in our lives such as a new health concern or a layoff would turn our condition into an unmanageable mess. So what was the biggest problem we faced? Not enough funded programs to give us a hand? Schools not understanding when we arrived several minutes late to pick up the kids? Banks not having a sense of humor when the payments were late or short of the goal? No. The single biggest problem we faced, and the greatest barrier to our improving our condition, was time. Time is a commodity afforded those who are better off. As quickly as possible, we learned what services were available to us from various state and local agencies. Every agency had a queue, even early in the morning, so seeking help interfered with our already-difficult-to-sustain-pace when the adults in our “family” both had jobs. And when applying for help of any kind, we were required to fill out forms. That’s understandable. Typically, agencies don’t share common databases so forms must be completed multiple times, even when a family is referred to an agency for some kind of help. The people who worked at these agencies were sometimes bright, energetic and helpful. Others were not so helpful, sometimes due to their short tenure with an agency, and sometimes because they had issues of their own to deal with. The agencies that were created to help lift people out of poverty also cause harm to them by “costing” them precious time. Agencies are imperfect. Not all policies are well understood by the agencies’ employees. Agency help can be capricious, owing to their individual budget cycle and even the desire of an agency employee to be helpful. Women were more likely to remain impoverished than men. Families with children fared MUCH better when two parents/partners were present in the family. Families where at least one adult had a college education were much more likely to eventually climb out of their situation. Note that the act of getting a post-secondary education is greatly exacerbated when children AND poverty are combined. We’re in the right place at the right time. It appears then that lucky people have a little more time on their side, on average. Technology can play a big role in lessening the burdens life places on the poor. It can also improve the bottom line — in terms of positive outcomes per unit of funding — for agencies that rely on taxpayers for their funding. As the global population of software engineers continues to rise, one great act of kindness would be to create an open source software project for the sharing of resources by agencies. Imagine a software application that requires only one online “form” to be completed. Pertinent information could be shared with trusted agencies in a completely secure environment. Such applications do exist, but their costs are prohibitive to the agencies that need them. For those of you who love to read technical details and who are not already acquainted with the Apache Software Foundation and its achievements in the open source space, this link is for you: Apache History. The United Nations Millennium Goals regarding poverty. Or follow here on Twitter. CNN story on how high/empty calorie food is more affordable than energy dense, nutritional food. Women in poverty article which includes a troubling infographic. The Straight Facts on Women in Poverty blog post. 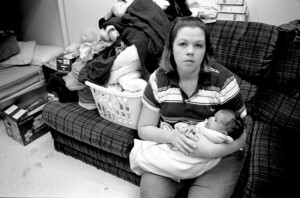 2011 Article Is America Losing the War on Poverty, posted by Minnesota Public Radio.